India gets its first homegrown fighter jet. The 13-ton Tejas or Light Combat Aircraft (LCA) has been designed since mid-1980s. The world's lightest supersonic fighter jet is set to replace the aging MiG 21s. 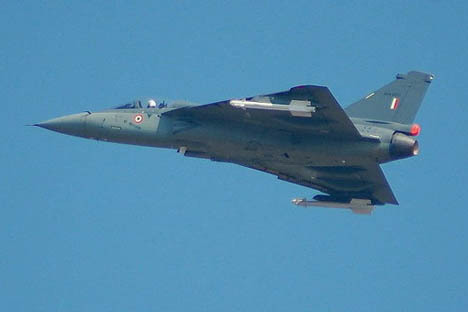 The LCA's maiden flight was made on January 4, 2001. The Indian Air Force is reported to have a requirement for 200 single-seat Tejas fighters and 20 two-seat conversion trainers.